Rob Strong was developing Newfoundland’s offshore before many of us were even born. He’s fondly known as the grandfather of our industry. He is knowledgeable, tenacious and a tell-it-like-he-sees-it kind of guy. Now offering his lifelong experience as a consultant to the industry, Rob Strong can be found with his fingers in just about every energy opportunity in the region. He also has his fingers in projects around the globe. We were fortunate enough to get Rob’s perspective on the pressing energy concerns of this time. We invite you to read Rob’s thoughts on the emergence of an industry and the future of Offshore Newfoundland. 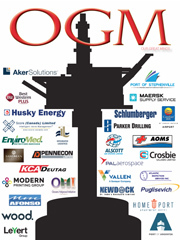 TINA OLIVERO – THE OGM: What had you get involved in the oil and gas industry? ROB STONG: It was the late 70’s and Hibernia had just been discovered. They were exciting times and I was lucky enough to get a job with Crosbie Offshore. Crosbie Offshore was deeply involved in many aspects of the offshore industry including the supply of offshore vessels. They were also involved in the providing goods and services to the industry, office buildings, catering and crewing was all part of the mix. You could not buy the learning experience that this gave me at the time. TINA OLIVERO – THE OGM: What was the most significant milestone that led to the oil and gas industry starting in Eastern Canada? ROB STRONG: In my mind, there is only one answer to this question and that answer has to be the signing of the Atlantic Accord. Without the Accord, along with the Petroleum Incentives Program, there would not have been any Hibernia, Terra Nova, White Rose or Hebron or, at least, we in Newfoundland would not have played the significant role that we did. TINA OLIVERO – THE OGM: What was your involvement with the Newfoundland and Labrador Oil and Gas Industries Association (NOIA)? ROB STRONG: I was President of NOIA on at least two occasions and sat on the board for some 16 years. These were the very early days when Noia had no staff and a very small budget. Luckily, along came our first true Executive Director, Ruth Graham, who held it all together in the early days. We also had a very dedicated board to work with back then. TINA OLIVERO – THE OGM: What do you think the hot prospects are on the horizon for the oil and gas industry? ROB STRONG: Offshore Newfoundland is an expensive area to work in and we need a major find to justify the high cost of doing business offshore Newfoundland. I used to think that deepwater offshore Newfoundland might be a hot prospect; however, with the drilling of several dry wells in recent years, my excitement for this area is dimming. I vividly remember the hype about the Flemish Pass a couple of years ago and people talking about billions and billions of barrels of oil. So far, Statoil has only been able to firm up some 300m barrels. Obviously, it is important for drilling to happen in this basin offshore Newfoundland. We also have to have a highly competitive operating cost, as well as a very competitive regulatory regime. Oil companies demand clear direction as to the regulatory regime. For example, there is currently uncertainty as to who will have regulatory control over environmental matters. My feeling is that the CNLOPB has been doing an excellent job to date and to attempt to change the Board’s role now does indeed send a negative message to the industry. What we need to focus on here, is the time between discovery and first oil. It needs to be shortened if we are to attract new activity. We have to remember that we work in a competitive environment and that we are not the only place in the world to drill for and produce oil. TINA OLIVERO – THE OGM: What do you think of the price of oil and its future price? I am not overly optimistic on oil pricing insomuch as there is a glut of oil in the marketplace right now. That, combined with the shale (oil and/or gas) play, I feel as most people do that oil will stay in the $70 to $80 range for the foreseeable future. I hope I am wrong! 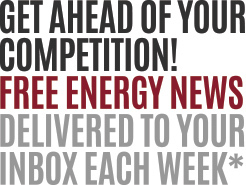 TINA OLIVERO – THE OGM: What do you think of the Energy East Pipeline? ROB STRONG – I am really disappointed in what has happened insomuch as Canada has limited access to the markets – either through an east-west pipeline or through BC to the West Coast. Combine that with the delay on starting Keystone and the current discussions regarding NAFTA, I think we all should be concerned about the situation. I am disappointed in our Federal Government who seems intent upon placing barriers on the flow of oil and gas. And speaking of the Federal Government, I have to add my displeasure in what is happening vis-à-vis the CEAA business wherein some in Ottawa think that they are better equipped to provide environmental stewardship than the C-NLOPB. I feel we need better co-operation between Federal and Provincial levels of Government. Newfoundland and Labrador should ensure that the rest of Canada is aware of the fact that we produce as much light sweet crude as we do. It’s significant. TINA OLIVERO – THE OGM – What’s happening in Guyana that has piqued your interest? ROB STRONG – I have travelled to Guyana five times in the past year. I think that the Guyana/Suriname Basin has to be one of the hottest prospects in the world right now and they have just begun. With an initial discovery in 2015, they are talking about first oil in 2020 and that is just the start. There is already discussion of a second FPSO. When you have seven wells and six have penetrated oil-bearing sands, it’s significant. From discovery in 2015 and first oil in 2020, if that doesn’t excite someone in the oil and gas business, what will? Guyana is a new frontier somewhat similar to where we were 40 years ago. They need so much help in not only understanding the industry but, more importantly, servicing the industry for the next 20 to 30 years. 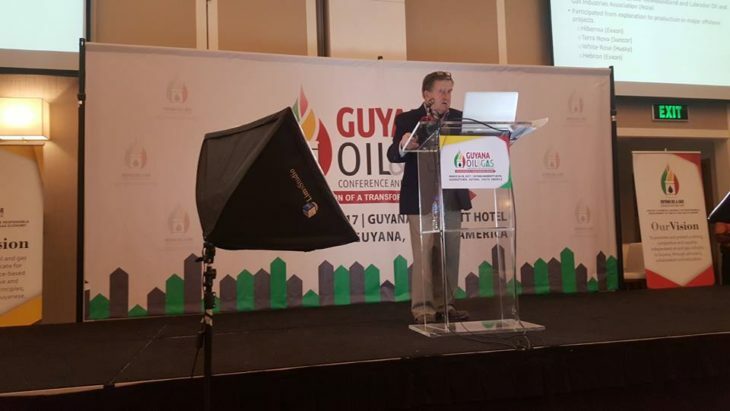 With no proven oil reserves just over two and a half years ago, Guyana now has approximately three billion barrels of recoverable oil and this number is expected to further increase as the hunt for more petroleum intensifies. As well, neighbouring Suriname is expected to be as prolific as Guyana. 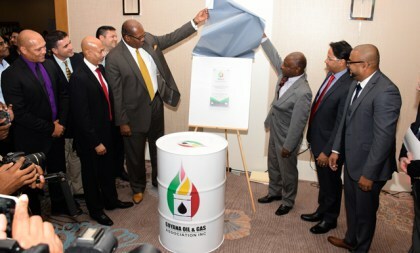 The country’s Minister of Natural Resources, Raphael Trotman, has told me that the most recent discovery by US super-major ExxonMobil off the Guyana coast pushed the declared reserves to around the three billion barrel mark. Previous estimates by Exxon pointed to a ceiling of 2.75 billion barrels of recoverable oil in the Stabroek Block. This was before the Turbot discovery which was announced on October 5. Although the company did not venture to declare the quantity of oil believed to have been discovered, it did say drilling encountered a reservoir of 75 feet (23 meters) of high-quality, oil-bearing sandstone, pointing to quantities that would push the initial 2.75 billion barrels ceiling well over the 3 billion barrel mark. In my view, more east coast Canadian companies should be aggressively looking at opportunities in Guyana. Yes, I know it is an underdeveloped country and has its frustrations but when one looks at the “size of the prize”, it has to be worth it. why was there no comment or questions on western newfoundland’s shale oil play? why don’t we have any answers yet? why are we focused on Guyana when the west coast of newfoundland has estimates of 23 billion barrels of oil in place? why is the oil community in newfoundland keeping this a secret?